Have you ever looked at before and after makeup pictures of celebrities and wondered what makes us look so different with and without makeup? This post dives deep into the relevant academic research to find out! Does wearing beauty products really make us look more attractive in the eyes of other people? Does heavy (compared to light) makeup application make a difference in how others perceive us? Keep reading to find the answers to these questions and much more! 2. Do We Really Look *So* Different With And Without Makeup? 3. Isn't Beauty Purely Subjective? 4. Does Makeup Help You Look More Attractive? 5. Foundation, Lipstick, Or Eye Makeup - What Makes The Biggest Difference? 8. Beyond The Physical: Cake It 'Till You Make It? TL;DR - What Does The Research Say & Should We Trust It? Should We Trust Every Single Piece Of Academic Research? The purpose of this article is just to introduce some academic research on beauty and makeup. Always remember – there’s much more to life than what you look like, and beauty is partly subjective. We believe that your bare face is just as beautiful as your made up face! Never feel pressured to wear (or not wear) any beauty products. Heavily applied cosmetics can massively impact the appearance of the face. Makeup can alter the appearance of the face so drastically that it can impair the accuracy of automatic facial recognition systems. 3. Isn’t Beauty Purely Subjective? 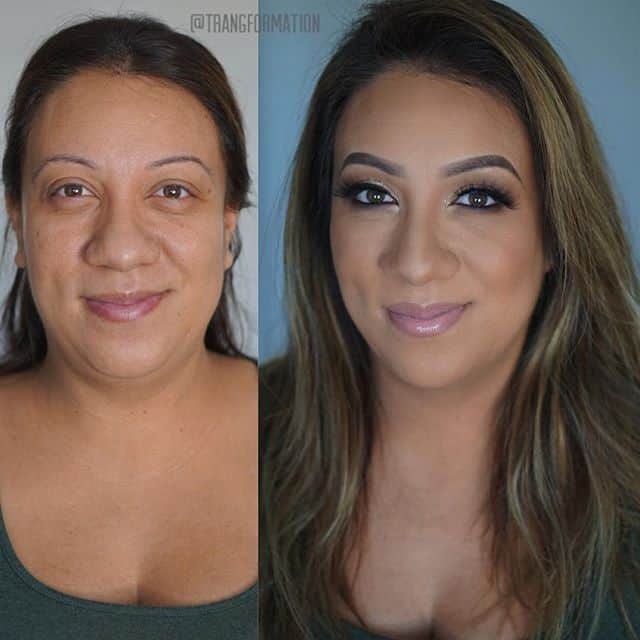 Makeup is obviously used (in part) to beautify. But how can cosmetics be designed to make us look better if beauty is subjective? It’s true that there are cultural and individual level differences in what is considered beautiful around the world. Physical beauty is in part in the eyes of the beholder. However, humans are innately attracted to each other to increase the chances of producing healthy children. Some physical characteristics are near universal indicators of beauty because they signal health and fertility – important traits for producing healthy offspring. These are the more objective elements of beauty. Makeup alters our appearance to accentuate certain features that signal fertility. In a study conducted by Guéguen (2017), women reportedly spent more time applying beauty products near the ovulation phase of their menstrual cycle. This supported previous research that found women alter their appearance when ovulating to boost their attractiveness. In the Guéguen study, makeup artists claimed that women’s makeup application was better and more advanced near ovulation. In many civilizations throughout history, including ancient Egypt, men also wore makeup – not just women. Men look ‘normal’ to us without beauty products. 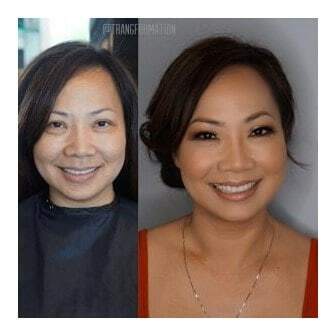 When we see women who usually wear makeup without it, they often look noticeably different. As a society, we’re just more accustomed to seeing women wearing cosmetics than men. More men are beginning to wear cosmetics throughout the western world as it becomes more socially acceptable. However, it’s still largely the social norm in our society for only women to wear makeup. Buss (1988) explains that the evolutionary pressures for men and women are not the same. While women have evolutionary pressures to indicate youthfulness and health to signal fertility, men have pressures to signal high levels of wealth to attract a mate. Therefore, from a purely evolutionary perspective, it doesn’t make sense for men to spend time and money on beauty products if it doesn’t aid them in the purposes of attracting a mate. (Of course, it is always a personal choice to wear or not wear makeup. We’re just citing the evolutionary psychology literature here). Maybe you’ve heard of the ‘golden ratio’ before? It’s a special number (1.618) that occurs frequently throughout nature. 1.618 is often heralded as the ‘ideal’ distance ratio between facial features for optimum attractiveness. Pallett et al. (2010) didn’t find support for the ‘1.618’ ratio as the facial ideal. However, the authors did find support for a different facial golden ratio – a ratio that aligned closely with an ‘average’ face. In similar studies, generating a digital face average from multiple images (each image comprised of a different face), resulted in a more attractive face than any of the individual composite pictures. (Langlois and Roggman, 1990, Rhodes, 2006). This suggests average faces are more attractive. Note that here an ‘average’ face does not refer to a face rated average on the attractiveness scale. Rather, an average face is a face close to the mathematical average of a large number of people’s features. To take another example, smooth, even skin is another indicator of good health and is considered objectively attractive (Fink, Grammar and Thornhill, 2001; Thornhill and Gangestad, 1993). Now we know just some of the more objective elements of beauty, let’s discuss how cosmetics can accentuate these beauty signals. Beauty products can change the way we look. But does it make us look better? Foundation aids in evening and smoothing skin texture. Eye makeup can enhance youthfulness and accentuate facial neoteny (characterized by youthful features like big eyes, small nose, and large lips) (Jones et al., 1995). Dr. DiDonato (2015) suggests that applying blush could help to mimic the higher likelihood of blushing when ovulating – a subtle signal of fertility. We’ve read above about ways in which the correct use of certain cosmetics can, in theory, enhance signals of beauty. Academics have conducted experiments to determine if makeup really has an impact on a woman’s perceived attractiveness. 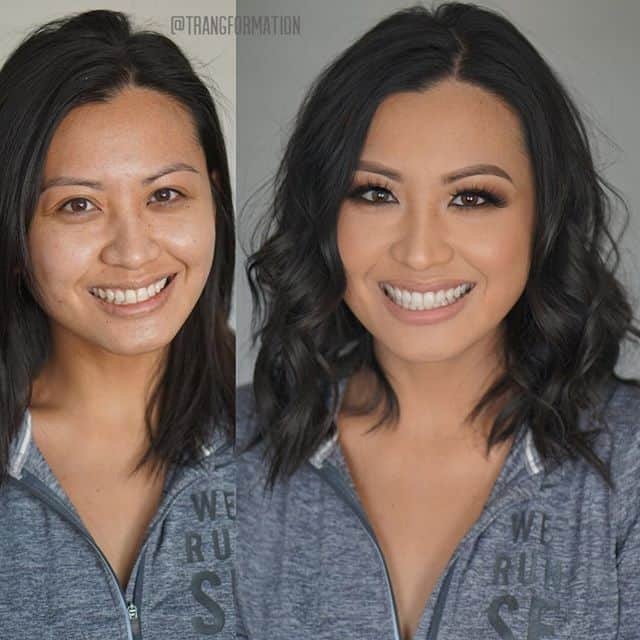 Photographs are taken of women with and without makeup. Participants in the study rate these women’s attractiveness on an attractiveness scale. The ratings for each woman before and after cosmetics are then compared. In Osbron’s (1996) study, makeup, on average, improved rated attractiveness by more than one standard deviation on the attractiveness scale. This was the case whether the person was considered above, below, or average, on the attractiveness scale. This result reaffirmed findings from Graham and Jouhar (1981). There appears to be a consistent, considerable makeup effect on rated attractiveness – regardless of experiment method, age, or country of origin of the subject. 20% of the participants in the Osbron (1996) subsidiary study preferred the photos of women bare faced. The author suggests that this indicates makeup is not merely some feature to enhance attractiveness; but also a type of identity symbol which some people reject. In another study, Cash et al. (1988) found that the makeup effect was much lower. College students were photographed prior to any cosmetics, and again after applying their normal face of makeup. Here, only male subjects rated the women more attractive when they wore makeup. Female ratings were not affected by the presence or absence of cosmetics. One possible reason for the difference in effect is that the subjects in this study applied their own makeup, while Osborne (1996) and Graham and Jouhar (1981) used makeup artists. Jones and Kramer (2016) also made a recent contribution to this literature. 33 Youtube models were rated on a scale of attractiveness before and after they had a professional makeup artist apply their makeup. There’s A Larger Gap Between Individual Attractiveness Than The Cosmetic Effect Gap Within Individuals. Makeup had an impact on rated attractiveness. The difference in attractiveness with and without makeup for individuals was smaller than the variance in rated attractiveness between different individuals. The women rated most attractive overall (compared to women rated less attractive) did not experience as much of an increase in rated attractiveness after the application of makeup. The same study replicated the experiment on 45 supermodels (all considered very attractive). There is less variation in attractiveness in this supermodel group. Again, cosmetics had an impact on perceived attractiveness. The variability in rated attractiveness between individuals remained bigger than the variation within individuals with and without makeup. Taken together, these results suggest that the attractiveness gap between a bare face and one with makeup is big. However, the consistent larger gap in attractiveness between individuals puts it into perspective. MUAs vs DIY – Does Application Method Make A Difference? Consistent with the previous studies, the application method also made a difference according to Jones and Kramer (2016). Professional makeup artists’ application had a bigger impact on rated attractiveness than self-applied makeup. These results have interesting implications for the impact of cosmetics on perceived attractiveness when applied by a professional compared to a non-professional. 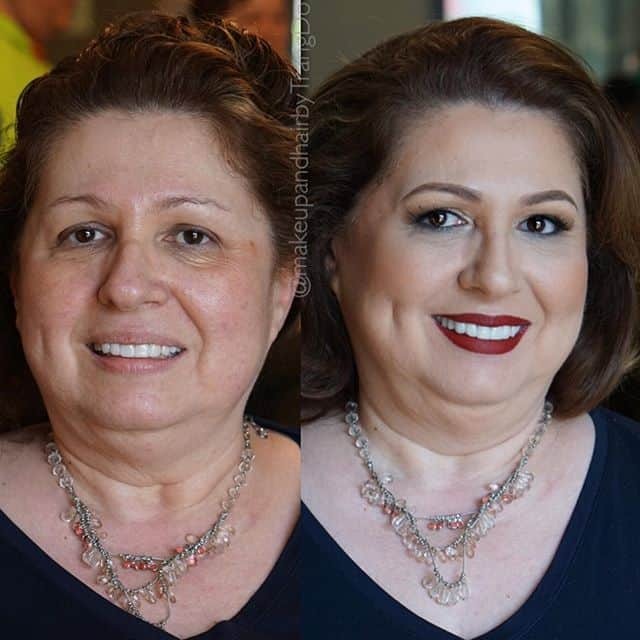 If you want to be perceived as more attractive for a special occasion, it might be worth spending some money on a professional makeup artist! TL;DR – What Can We Learn From The Photograph Studies? 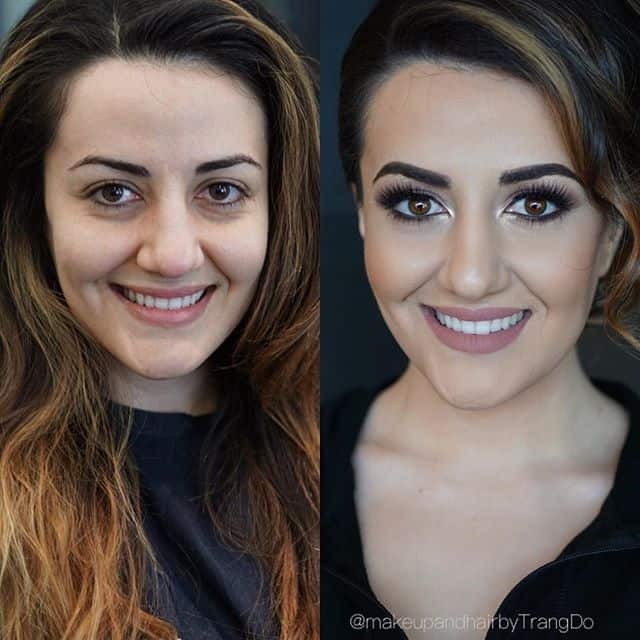 The above studies used photographs of women prior to applying makeup, and again afterwards to assess whether or not other people perceive them as more attractive with makeup. On average, cosmetics had a considerable effect on perceived attractiveness. 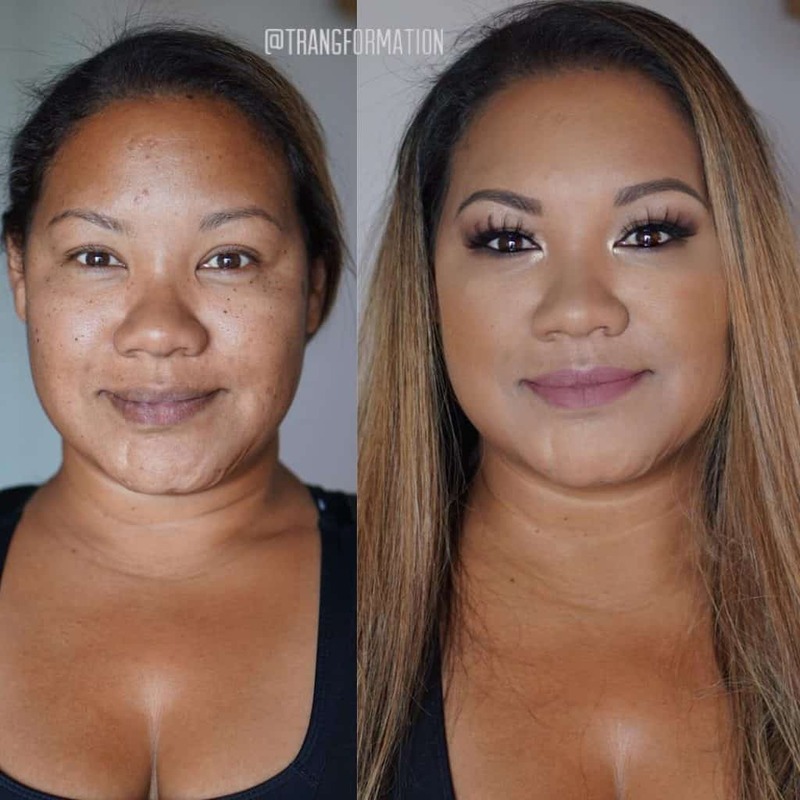 This effect is stronger when the makeup was applied by a professional MUA than when applied by the woman herself. 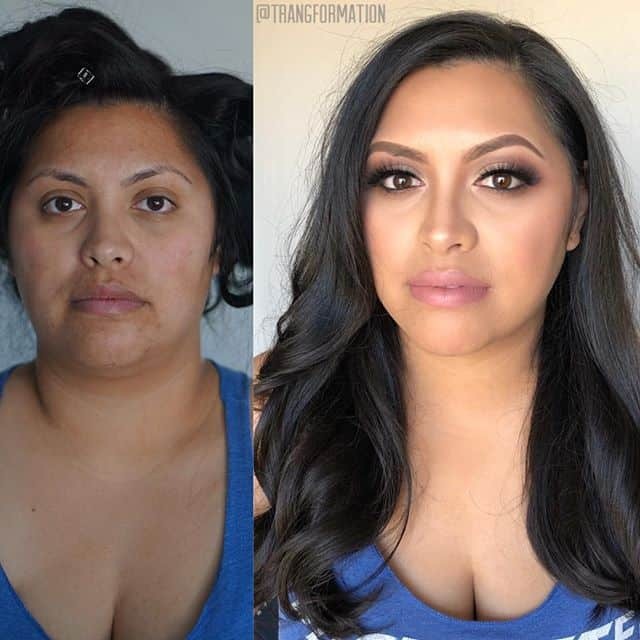 The difference in attractiveness with and without makeup for individuals is smaller than the difference in attractiveness between different individuals. Not all participants in the studies preferred women with makeup. In Osbron’s (1996) subsidiary study, 20% of participants preferred the photographs of women without makeup. These studies discussed above found that (on average) photographs of a woman with makeup are judged more attractive than photos of the same woman without makeup. How does makeup influence outcomes in more of a real world situation? Do women who wear beauty products get treated differently when they go out bare faced? Guéguen and Lamy (2013) ran an experiment to try to find out. Four women in their early twenties participated in an experiment where they pretended to hitchhike with and without makeup. 1,600 male and female drivers’ reactions to the hitchhikers were evaluated. Wearing makeup was correlated with higher rates of male drivers stopping to offer the woman a ride. Makeup had no impact on female drivers’ rate of stopping for the hitchhiking women. Guéguen and Jacob’s (2011) found that waitresses wearing makeup received more tips from men. However, the impact of cosmetics on tipping is moderated by the rated attractiveness of the waitress. This suggests that the presence or absence of makeup on a woman can influence men’s response to said woman in certain situations. However, this effect is likely mitigated by the attractiveness of the woman. 5. Foundation, Lipstick, Or Eye Makeup – What Makes The Biggest Difference? According to a study conducted by Mulhern et al. (2003), the kind of beauty products used appears to have an impact on perceived attractiveness. The attractiveness of the women under each of these treatments was evaluated and compared. Women were assessed to be more attractive with a full face of makeup compared to a bare face. Eye-only makeup had a bigger effect on attractiveness than foundation-only makeup. Both of the former had a bigger impact on attractiveness than lip-only makeup. Although lipstick came last of the three here, a study by Guéguen (2012) suggests lipstick does have an impressive effect – especially red lipstick. Women wearing red lipstick were approached by men more at the bar than those wearing light pink, brown, or no lipstick at all. Do people think light or heavy makeup looks better? Does wearing heavy makeup impair facial recognition? Tagai et al. (2016) conducted research in which 38 Japanese women rated the attractiveness of 36 other Japanese women wearing a light application of makeup, a heavy application, and no makeup. The women rated the light makeup application faces most attractive, followed by heavy application, and rated the no makeup faces least attractive. Facial recognition was higher when the women had no makeup on, followed by light application, and finally heavy application. The authors suggest that heavy makeup is more memorable to recall than the individual’s actual face. 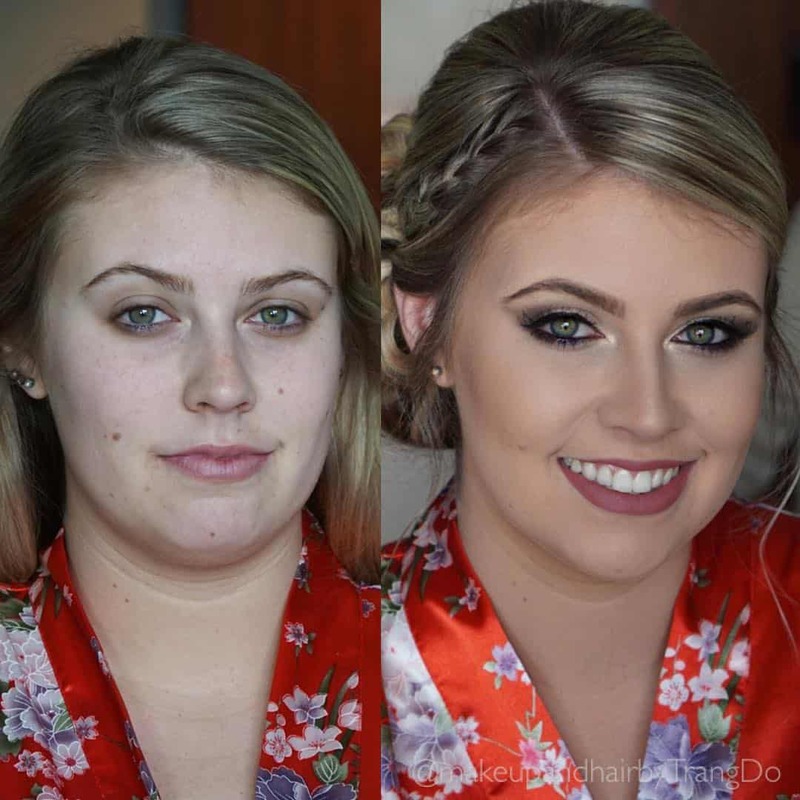 The heavy application draws attention to the attractiveness of the makeup itself, while a light application enhances an individual’s attractiveness. Batres et al. (2018) built on the previous makeup vs. no bare face studies. This recent study found that women who were perceived to be wearing more makeup were rated as more attractive than those perceived to be wearing less. So far, we’ve mostly looked at the physical impact of makeup and how wearing cosmetics can influence others’ perceptions of you. More importantly, cosmetics can also have a profound impact on your self esteem and self confidence. Cash et al. (1989) found that applying facial cosmetics is correlated with an improvement in women’s self image. Makeup has a positive impact on the average quality of life (AQL) for sufferers of acne vulgaris. Medical makeup can improve the quality of life for sufferers of psoriasis, chloasma, hyperpigmented lesions, post operation bruising, acne scars, and lentigos. Even better, in the case of hyperpigmentation, medical makeup can both cover the impacted area and provide sunscreen protection at the same time – improving the AQL for the patient. 8. Beyond The Physical: Cake It ‘Till You Make It? Wearing cosmetics can impact how other see you – and not just the way you look. Let’s take a look at some studies that analyse the impact of makeup on perceived confidence, health, and professional prowess. According to the results of Fieldman et al. (2006) , makeup can give the illusion of a confidence and competence boost. On the personal level, when the same women wore beauty products they were judged to be healthier and more confident than without makeup. On a professional level, the same women with makeup were assumed to have greater earning potential, and assumed to hold more prestigious jobs than without makeup. In a different piece of research conducted by Klatt et al. (2016), 354 participants examined photographs of women in a variety of dress and makeup scenarios. Women wearing pants (vs skirts), jewelry (vs no jewelry), and makeup (vs no makeup) were rated as more competent by the participants. These results suggests that cosmetics can be used as a tool to help emit an aura of confidence and competence. If you’re struggling with confidence issues, perhaps wearing cosmetics can help you fake it ’till you make it (only if you want to use it of course!). TL;DR – What Does The Research Say & Should We Trust It? Cosmetics can impair facial recognition systems. Beauty is in part subjective. The more objective elements of beauty are linked to fertility and health signals. Photograph studies reveal that women are (on average) rated more attractive with cosmetics than without – especially when applied by an makeup artist. 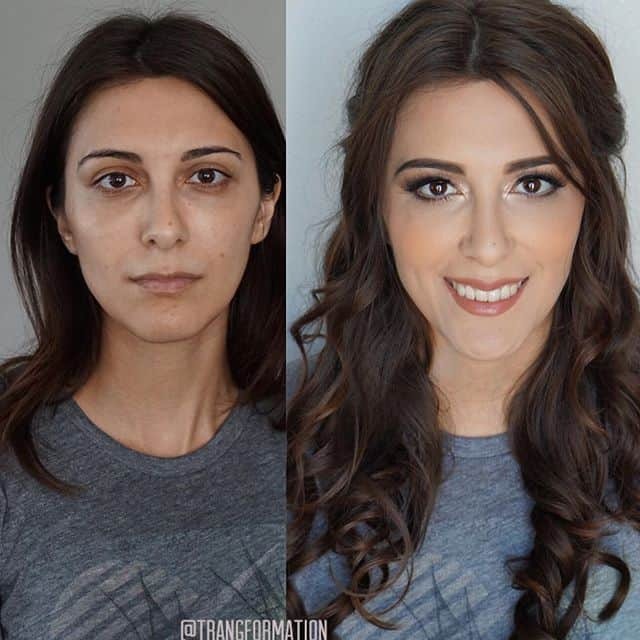 There’s some evidence that, in certain situations, men are more likely to act favorably towards a woman if she’s wearing makeup, however this effect is likely mediated by the attractiveness of the woman. There is some evidence that a light application is more attractive than heavy or no makeup. However, faces perceived to be wearing more makeup were rated as more attractive in another study. After a full face, eye products have the biggest impact on attractiveness. Makeup is not just about physical beauty. Applying cosmetics can have a profound effect on confidence (and perceived confidence and competence!). Medical cosmetics can significantly improve the average quality of life for those with certain health conditions. Please bare in mind that you should always take the results of a single study with a grain of salt. Most of this research is from the social sciences, specifically the field of psychology: an area of study currently in the mist of a large replication crisis. There is always room (and necessity) for replications and further research into these areas. I couldn’t cover every single paper in this area, but I hope to post more on this topic in the future! Remember – beauty products can have a big impact on your confidence, but there’s much more to life that what you look like. Don’t feel pressured to wear makeup/not wear it – do what’s right for you! Special thanks to @tangformation for permission to use these snaps of beautiful clients before and after their trangformation! PrevPreviousThe (Short) List of Lip Plumper Tools and Devices that *actually* work!